June 13, 2018 -- Stress echocardiography is a safe method of evaluating chest pain in patients who present to the emergency department, resulting in lower rates of hospitalization and shorter hospital stays when compared with coronary CT angiography (CCTA), according to a study published online June 13 in JACC: Cardiovascular Imaging. The findings suggest that stress echo could be an effective alternative to CCTA for emergency department (ED) chest pain triage, reducing patients' radiation exposure and healthcare costs. 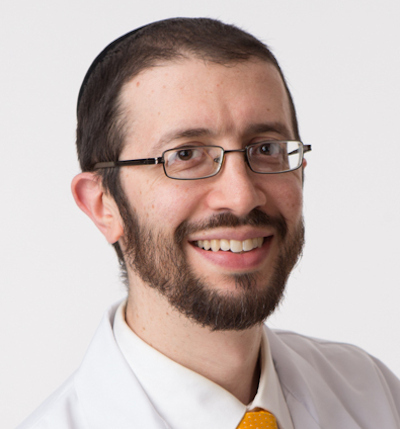 But the modality is often disregarded as an option, wrote a team led by Dr. Jeffrey Levsky, PhD, from Albert Einstein College of Medicine in New York City. "[Concerns] regarding CCTA use include radiation exposure, increased subsequent noninvasive testing ... increased catheterization and coronary revascularization of uncertain benefit, increased downstream clinical resource utilization, and the burden inherent to incidental findings," the group wrote. "Each of these concerns is addressed by the alternative use of stress echocardiography, a modality that has been assessed in early emergency department triage but is often overlooked." Cardiovascular disease causes one of three deaths worldwide, Levsky and colleagues wrote. Chest pain is a common reason patients present in the emergency department due to concerns that the pain signifies a heart attack. There are a number of ways to assess chest pain, but CCTA is quick and has been shown to reduce a patient's stay in the hospital compared to other modalities such as nuclear myocardial perfusion imaging (MPI). Dr. Jeffrey Levsky, PhD, from Albert Einstein College of Medicine. "We conducted this study because there are very few published trials that rigorously compare different ways to work up emergency department chest pain patients," Levsky told AuntMinnie.com. "Chest pain is such an important emergency presentation -- involving literally millions of Americans yearly -- but assessing it can take a lot of time and expense." CCTA exposes patients to radiation, however, and it can prompt further procedures that may or may not be of benefit, the group noted. That's why stress echocardiography shows promise for evaluating chest pain in the emergency department, although it does have its challenges. "Stress echo requires close coordination of the exercise and imaging parts and a good deal of patient cooperation," he said. "Critics of the technique feel it is too low in sensitivity. But on the other hand, it does not require radiation, and long-term outcomes are good when the test is negative." Levsky and colleagues started with 400 low- to intermediate-risk acute chest pain patients who presented to the emergency department between August 2011 and January 2016 and randomized them to CCTA (201 patients) or stress echocardiography (199 patients). The patients had no known coronary artery disease and had negative initial serum troponin levels. The study's primary outcome measure was the hospitalization rate, while its secondary end point was the length of stay in the emergency department and/or the hospital. Of the subjects, 42.5% were women and 87.3% were ethnic minorities, the group wrote. The researchers found that patients who underwent stress echocardiography had lower rates of hospitalization, shorter emergency department and hospital stays, and fewer adverse events on follow-up (although this last metric was not statistically significant). "[Our study] provides the first comparison of CCTA and stress echocardiography in emergency department chest pain patients and shows a statistically significant 8% reduction of hospitalization in patients triaged with stress echocardiography compared to CCTA," the group wrote. The researchers also found an overall trend toward less resource utilization over a 24-month follow-up period among patients who underwent stress echocardiography, although most measures did not reach statistical significance. There was no statistically significant difference between CCTA and stress echocardiography regarding subsequent catheterization and revascularization, and patients rated their experience with stress echocardiography more favorably than with CCTA. Stress echocardiography appears to be a safe and effective tool for evaluating chest pain in the emergency department compared with CCTA, Levsky and colleagues wrote. "Stress echocardiography resulted in the discharge of a significantly higher number of patients with significantly shorter lengths of stay, was safe at intermediate-term follow-up, and provided a better patient experience," they concluded.